DataMap Intelligence collects new residential development data available in many formats .shp .tab .xls .kml.mdb.gdb.dbf.dwg.map. DataMap Geo , our most in-depth geospatial solution, tracks the exact location of every new and emerging residential development throughout the United States and Canada as it is created, including street centerlines, address ranges, point addresses and other data attributes unavailable elsewhere. DataMap Maps is the most up-to-date road network map of the United States and Canada. DataMap Maps integrates our new street dataset into existing street data, creating a product that is accurate, comprehensive and unprecedented in the industry. 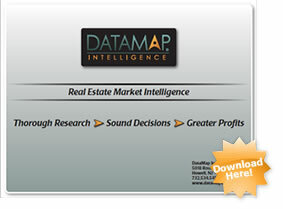 DataMap Analyst is designed for financial analysts to track the activity of the top US home builders, enabling the user to compare and analyze data and to assess trends by month, builder and location. DataMap Snapshot is a unique application that allows the user to create customized comprehensive snapshots of the entire new and emerging housing market across the United States at a glance using Microsoft Bing Maps. The user-friendly interactive interface allows the user to easily visualize and explore future demographic trends providing an accurate snapshot into the future. DataMap Parcel is collection of parcel polygons acquired from local governments, internal and third-party sources providing point-in-polygon analysis and display capabilities. Parcel data is delivered in shapefile format for your immediate use. 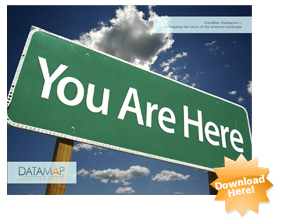 Get to know Datamap and learn more about our products! *You need google earth installed on your computer to view.